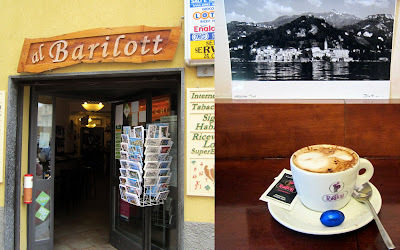 When I read about the enchanting little town of Varenna, Lake Como on Nerys's interesting blog A Welshie in Italy, it sounded like the perfect place to spend a relaxing holiday. So, my family and I decided to take a trip there for Easter week. As it’s only a one hour train journey from Milan it’s very easy to reach and it’s just a 15 minute walk from the station to the town centre. Varenna (see map) is in an idyllic spot in the middle of Lake Como and it forms a ‘golden triangle’ with Bellagio and Menaggio. One of the first things that struck me was the deep, rich colours of the beautiful old buildings in shades of yellow ochre and saffron. A shady promenade runs along the shoreline, passing elegant villas and botanical gardens dotted with fine sculptures. There are many charming cobblestone alleyways with steps and archways which lead up to the main piazza. Rising high above the terracotta-tiled rooftops is the steeple of San Giorgio church. Varenna is only a fifteen-minute ferry ride from the more well-known lakeside resort of Bellagio, but its awe-inspiring scenery and peaceful solitude make it the perfect retreat; it has a much more relaxed atmosphere. 1. Bar il Molo. 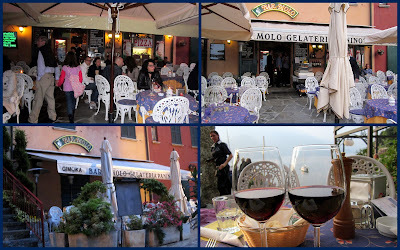 This was our favourite place to eat in Varenna. On our first night we had a delicious dinner here and returned several nights after because it was so good! It is in a magnificent waterfront location with tables arranged on a terrace overhanging the lake. The authentic cuisine includes: pasta, pizza, salads, bruschette, sweet and savoury piadine and local specialities and the prices are very reasonable. The gnocchi with salmon and cream sauce was delicious. Simone, the owner, is so welcoming and chats with all his customers. The adjacent room with an exhibition of local produce and products is worth visiting. 2. On Wednesday (when Bar il Molo was closed) we ate the Nilus Bar next-door. It is in a romantic setting perched over the water's edge. You can hear the waves lapping against the shoreline and watch the swans and ducks as you eat. It has a heavenly lake view and in the evenings you can admire the sailboats and ferries lit up under spectacular sunsets. although the food here was simple it tasted so good. ﻿3. Ristorante il Cavallino is a traditional fisherman’s restaurant with the most ample selection of local fresh water fish. It’s in an enchanting position on the lakeside, the outdoor area under a vine-covered pergola, creates a perfect romantic atmosphere for savoring the cuisine of the lake. If you love fish, this is the place to go! 4. 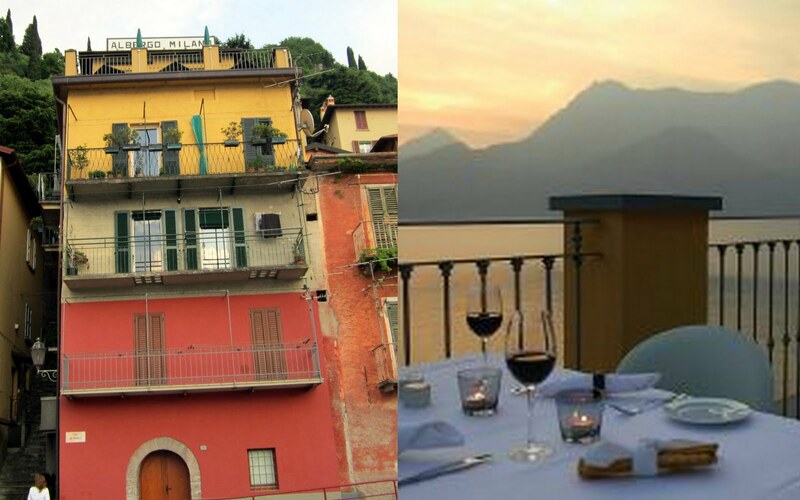 Ristorante La Vista (at Albergo Milano) – superb food with an incredible panorama from its elevated position where you have a view of three branches of the lake in a cosy atmosphere – highly recommended! This is the only restaurant where we had to make reservations ahead of time. 5. Opposite the lake there are little cobbled alleyways between the buildings with steep steps. All of these alleyways lead to the main street and piazza in the town where there is the parish church, more restaurants and two little alimentari, grocery stores – there is no supermarket. 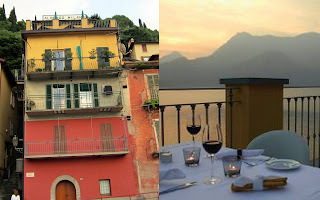 Here in the corner of Piazza San Giorgio you will find the Albergo del Sole a family run restaurant. It serves wonderful pizzas baked in a wood-fired oven. Try their house special pizza - a type of margherita with Parma ham, served with a fried egg on top. 6. There is also a fantastic wine bar, cafeteria and internet café in the main piazza called Al Barilott. The owners Fabrizio and Claudia are warm-hearted and knowledgeable. We used to have our morning cappuccinos here - for only €1.20. Fabrizio says he doesn't charge 'tourist prices.' I overheard one customer remark that they serve the best coffee in town! They also have an extensive wine collection. Have a look at their website to see all that they offer. 8. Ristorante La Contrada, Hotel Villa Cipressi. This restaurant was halfway along the walkway of Villa Cipressi. It has one of the most picturesque settings of the lake, in the middle of the botanical gardens with a view to both branches of Lake Como. 10. For ice-cream, I have to agree that the gelato in the Riva Gelateria (formerly known as La Giazzera) overlooking the little harbour and recommended by Nerys - was excellent! I received an email from reader Sue asking which of the Milan airports was closer to the city and how to get to Varenna from there. If you have the choice of airports, depending on where you are flying from, Linate would be better as it is only 10k from Milan whereas Malpensa is 46k from the city. You can get the bus right outside the airport to Milan Centrale train station (cost €4). The journey by bus to the train station in Milan takes only about 15 minutes (and departs every 20 minutes). Trains from Milano Centrale to Varenna leave every hour during the day – direction Sondrio-Tirano. 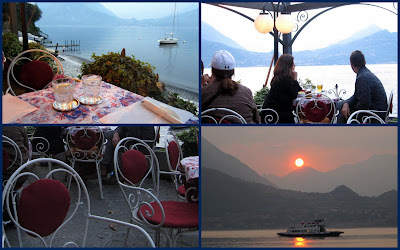 Let me know if you’ve been to Varenna and of any restaurants that shouldn’t be missed on a visit here! There is more to come ... In my next post I'm going to write about Ten of the Main Attractions in Varenna. I really enjoyed reading your vey lyrical post. And my mouth was watering when I read a review of all these charming restaurants. I like your pictures of Varenna very much. Grazie Tatiana! I appreciate you taking the time to read and leave comments. You are always very kind. Only 8 more weeks till we meet at the other beautiful lake - Lago Maggiore! I'm glad you had a nice time Nora, Varenna's a special place. Did you sit on the steps to eat your gelato at all? Hi Nerys, yes, we did sit on those steps beside the gelateria enjoying our gelati - alas they did not have those colourful cushions like when you were there. I asked inside about them and was told that they were new owners since February, but they liked the idea and said they would think about doing it! Thank you for introducing us to this stunning place! I've never been to Varenna- Thank you so much for the great recommendations. 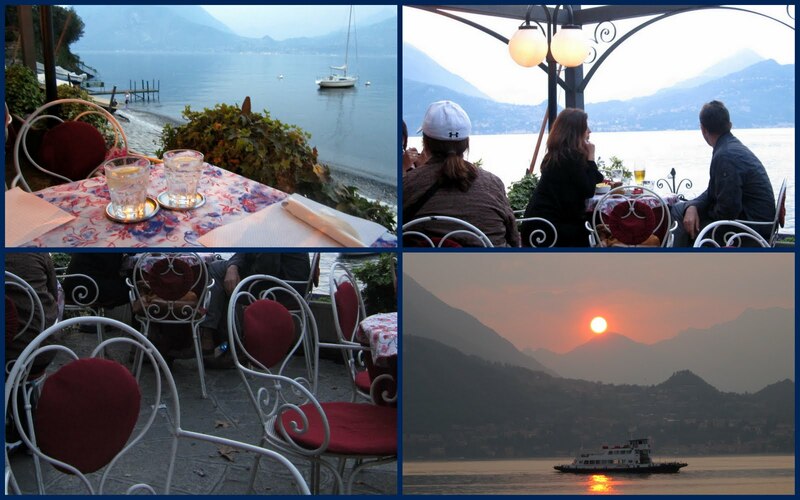 Hi Janie, Hope you get the opportunity to visit some of these outdoor restaurants in Varenna and enjoy the unique ambience. Great review and wonderful photographs. 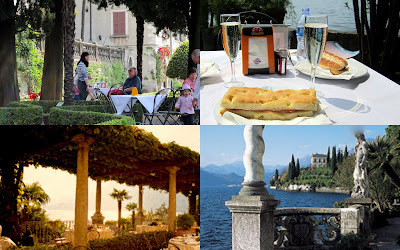 Looking forward to reading the ten top attractions in Varenna in your next blog. Thanks Cara. I'll have the post about the attractions in Varenna finished by next week.